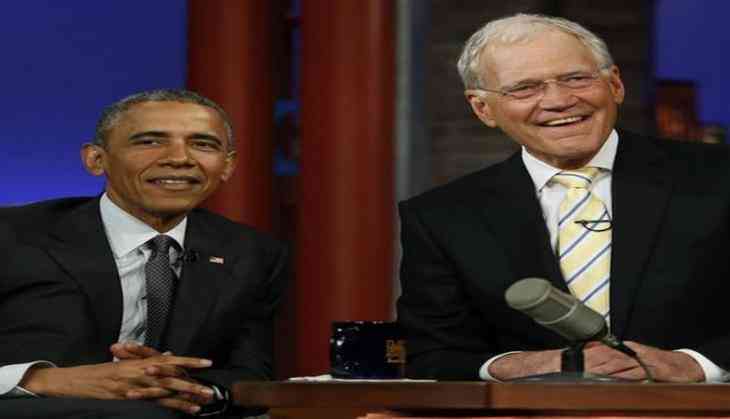 The stage is set and David Letterman is all set to make a comeback to the small screen with a star-studded line-up. According to the Hollywood Reporter, veteran former U.S. talk show host David Letterman will return on January 12 in a new Netflix show, where his first guest will be former U.S. President Barack Obama. This will be Obama's first interview since leaving the White House. Other guests set for Letterman's series are George Clooney, Malala Yousafzai, Jay-Z, Tina Fey and Howard Stern. Titled 'My guest needs no Introduction' , the show will stream monthly with the first episode launching on January 12 and the additional five episodes streaming, one a month, after that. According to Netflix, the "interviews will take place both inside and outside a studio setting." Letterman, 70, left his job as host of 'The Late Show' in May 2015, saying he wanted to spend more time with his family after more than 30 years on late night television. His return to television for the streaming service was announced in August 2017, when the quick-witted host said that Pope Francis and President Donald Trump would be top of his wish-list for the series.